Barbara Shafer "Painting Dance and Drawing Landscapes"
The library hosts “Painting Dance and Drawing Landscapes,” an exhibit by Barbara Shafer. 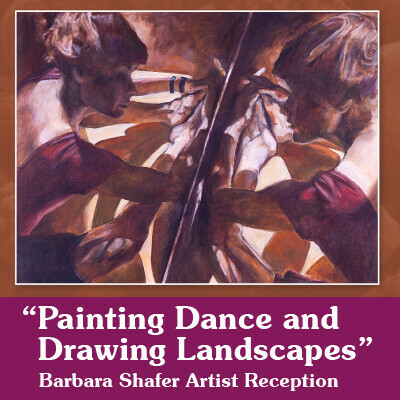 Barbara paints the drama of the dance and brings indoors the energy of the brutal rocks from the shore of Lake Superior. A reception will be held Thursday, October 25.